(WNN) Beirut, LEBANON: In an amazing coordinated campaign, a Lebanese advocacy group dedicated to protecting women from violence shook up the media world by working closely with men as they asked them to act decisively and without hesitation to stop violence against women. Elahe Amani, special reporter from Iran for WNN – Women News Network, talks with Ghida Anani the Lebanese founder and director of ABAAD – Resource Center for Gender Equality. ABAAD, based in Beirut, has been working to bridge the power of Youtube, Twitter and Facebook together with strategies to improve life in Lebanon and the Middle East region. ABAAD has been making a strong mark on youth. WNN recently interviewed Ghida Anani to find out how a campaign to improve the world and the lives for millions of women can work closely through television commercials, male advocates and hundreds of billboard banners throughout Lebanon. . .
Elahe Amani for WNN: What are your thoughts on the impact of religious extremism (all religions) in the MENA (Middle East and North Africa) region? Do you think there has been a militarization of violence against defenders of human rights and gender rights in Lebanon? ABAAD was born in a time of transition. There is a revolutionary spirit infused to this day [in Lebanon] and it reminds us that our struggles remain highly politicized and multidimensional. And it is only through viewing our work in its myriad dimensions that we stand a chance of success. So what about the Arab world – a region that has always highly politicized women’s issues, intertwining them with nationalist and religious struggles? What dimensions can we use here to generate the change we seek? During the ‘so-called’ Arab Spring, women in the region have called for a broader definition of security to include [all forms of] human security, embracing human rights and equal rights. These democratic currents lend themselves not only to changed governments but also to a new socioeconomic and cultural landscape. Traditional understandings of security only exist inside a militarized environment. Our ‘Arab Spring’ has shown us that individuals [first] should be the barometer through which security is measured. This people-centered paradigm is the only way to achieve national, and ultimately regional, security. The power of people [today] – women and men – on Arab streets is palpable. We, the rights holders, are now holding our governments, the duty bearers, accountable. In so doing we are holding ourselves accountable as well. We are raising the standard and raising our expectations. If toppling a government is possible, what is not possible?! This is an incredible time where a door has opened for us showing Arab women and men what is possible. And through this door lies a society that we build together founded on principles of human rights and gender equality. This is not unique. Societies everywhere fight for the same principles. But in the Arab world we need the international political space to foment these peaceful revolutions in our own ways. The ‘Arab Spring’ not only renewed our own faith in what is possible, it also demonstrated to an often-skeptical world that we can ask for what we need; fight for what we deserve; and succeed. The principles of human rights and gender equality might be the same but the method and the means to achieve them must be indigenous. They will only work if they come from us and for us. WNN: What are some of your major areas of concern for violence against women in Lebanon? In what ways do women in Lebanon experience violence? To better understand the regional dimensions of this global struggle we must broaden our understandings of human security. The security of women is an accurate measurement that acts a barometer for the security of a country as a whole. If women don’t feel safe – then no one is safe. In the Arab world this means renewing our commitment to engaging with men in creative and meaningful ways. We are moving beyond stereotypes and clichés that bind us. We no longer accept the image of men as perpetrators, tyrants, oppressors. This is erroneous and irresponsible. It creates a rift between men and women; a void where real work could have been done. An image of all men as perpetrators reduces all women to victims. Even women lose in this scenario. This simplistic dichotomy doesn’t resonate with the Arab world where women are protesting arm in arm with their brothers. We need to liberate ourselves out of outdated stereotypes if we are to understand the dimensions that animate our struggle. We fought to level the playing field – and we are still fighting – but we have also come to realize that we cannot do it without the support of men as partners, advocates and champions. ABAAD embraces the belief that human security involves engaging with men. In the Arab world this is a wellspring of untapped energy that can bring about positive sustainable change. 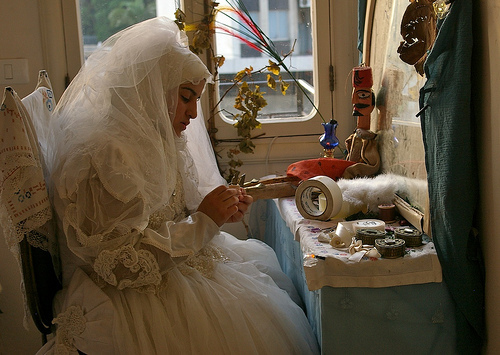 Women in Lebanon continue to suffer from family, spousal and legal violence in all its forms. WNN: What are the statistics? How do you collect information on violence against women (VAW) and how do you remedy its consequences in the public and private sphere? Unfortunately there are no [official] national statistics on the size of this problem. A majority of the studies are done by NGOs through their centers. Most of the support of victims is done by civil society organizations that offer: forensic medical reports or social, legal & psychological counseling, psychotherapy services, court representation [and] socioeconomic empowerment. WNN: Has ABAAD or other Non-governmental organizations (NGOs) in Lebanon initiated any reforms in the law? Like the Campaign for One Million Signatures did in Iran and Morocco? Since 2007 a local Organization called KAFA, in partnership with a national coalition of NGOs, has been leading a campaign calling for the endorsement of a law that criminalizes family violence against women. ABAAD is currently advocating for the application of a law for the Personal Status Codes [for] Iraqi women [who are] residing in the country [and are] victims of domestic violence. WNN: Could you outline ABAAD’s involvement with the U.S. based global 16 Days Campaign? I believe that a very well structured and managed coalition always brings more strength to activism for women rights issues, especially in light of the similarities of [many] women’s situations in the region. [We have worked] in line with a general climate in Lebanon and the [Lebanese] public debate around the proposed Family Violence Bill. We believe that there is a great need to organize a public opinion campaign with a message that is not only peaceful and inspiring, but also comes from youth as ‘real agents’ of societal transformation [who are] focusing on the root causes of violence in a culture [that has been too] tolerant of violence against women. ABAAD also provides group support to victims [of violence] through ongoing support groups with referrals to [lawyers who can help with] existing cases through different ‘Listening & Counseling’ centers operating in the country. We are also in partnership with UK based International Medical Corps (IMC) that operates a mens center that provides rehabilitation services to men engaged in violent behaviors with anger management workshops. WNN: We learned about you with your incredible advocacy work that has been using social media to get out your message. How has the use of social media been working for ABAAD? Media has become a major tool for activism and advocacy for social causes. It has reached every house with a widening and diverse population. Youth, as the number one users of social media, can be easily influenced by using [social media], rather than [going to] lectures or [reading] in-print publications. Using different media tools reaches a broader and wider audience: the general public, stakeholders, NGOs & youth. It is to be noted that the flow of our campaign (daily actions through different media tools) created a wide impact on [our] targeted audience, a matter that can be measured though the increase in the numbers of subscribers to the ABAAD Facebook page (from 2,618 to 4,257 to date). [We have also been showing close to an] equal gender balance [on Facebook] with 57 percent female to 43 percent male subscribers. The numbers of signatures on [our] campaign’s petition: more than 1,454 to date with the number of views of our different TV Spots on our YouTube Channel (varies between 470-1400 views per video). Contributions from a famous artist was also [provided] a great added value to the campaign as it conveyed a [one-line] message: A very well-known reputable artist stands against violence against women representing a great role model for youth.